DeeZee 3" Round Nerf Bars - Complete Vehicle, Inc. The molded plastic step pads deliver a non-skid stepping area for additional comfort and safety. The bracing is not only sturdy but it is also hidden and coated to help prevent rusting in order to maintain the strength of the tubes. 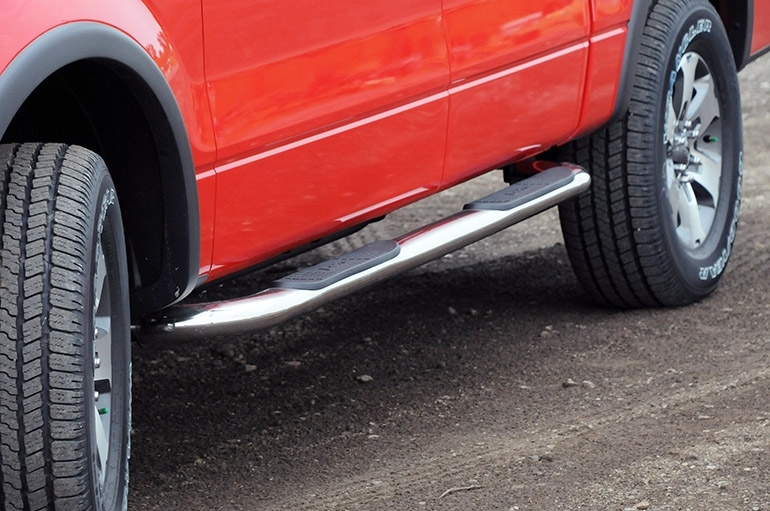 The nerf bars are custom fit for each vehicle and do not require any drilling.